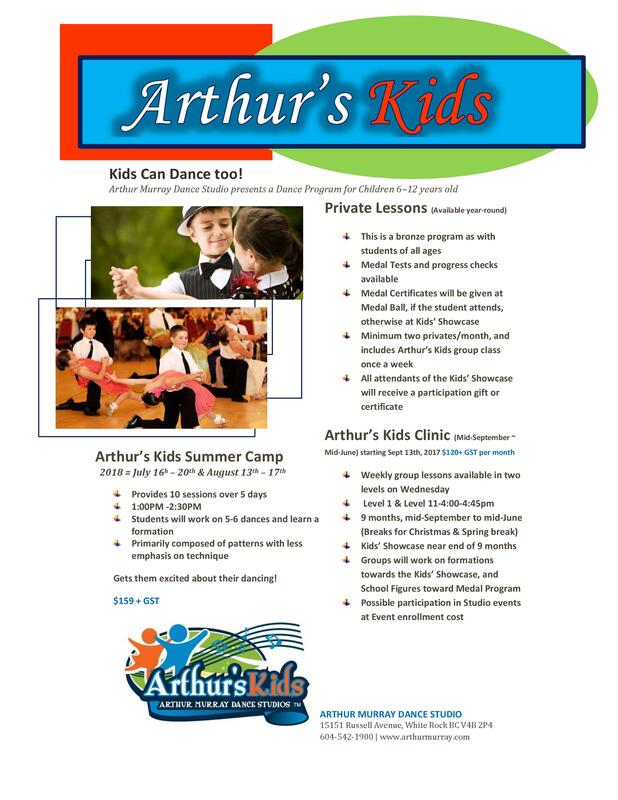 Start your kids off on the right foot with Arthur Murray’s Kids Dance Classes. You will be pleased with the ease of progress and enjoyment your child will experience through qualified and enthusiastic instruction. Arthur’s Kids is a fun and easy introduction to music and dance. The program teaches rhythm and timing with dance and creative movement. Students will learn basic dance skills through dance movement, dance and music genres. And for the introduction to popular social dances, students may learn basics to Waltz, Foxtrot, Tango, Swing, Salsa, Rumba, Cha Cha, Hustle, Polka, and more. As seen in the documentary film “Mad Hot Ballroom”, children cultivate self-esteem, respect, coordination, and more life-enhancing skills through learning ballroom dance. Give your child the opportunity to further develop their grace, coordination and social skills in a fun way that they can use for years to come at the many social events they will encounter. While learning to dance your child will gain self confidence, experience ease and assurance socially and meet new friends, while having fun along the way.